"Chances are you, or at least someone you know, is affected." On Friday, a security researcher sent the digital security industry into a frenzy when he tweeted that he will be sharing a story of nearly 1.4 billion identity leaks on Monday. Chris Vickery, a security researcher at MacKeeper, has now shared the details of what could probably be the biggest leak ever. Today’s data leak is so large that when Vickery initially reported that he has gained access to this leaked database of nearly 1.4 billion records, the Indian government issued a statement denying that it was the source. The country’s federal ID system is one of the few databases in the world containing more than a billion individuals. 1.4 billion identity leak story incoming Monday morning. Thanks go to @SteveD3 (and someone else) for cooperating on investigation. Vickery spotted a suspicious collection of files back in January that he discovered wasn’t password-protected. “Someone had forgotten to put a password on this repository and, as a result, one of the biggest spam empires is now falling,” Vickery said in a blog post on MacKeeper. These files accidentally expose the operations of River City Media (RCM), led by known spammers Alvin Slocombe and Matt Ferris. 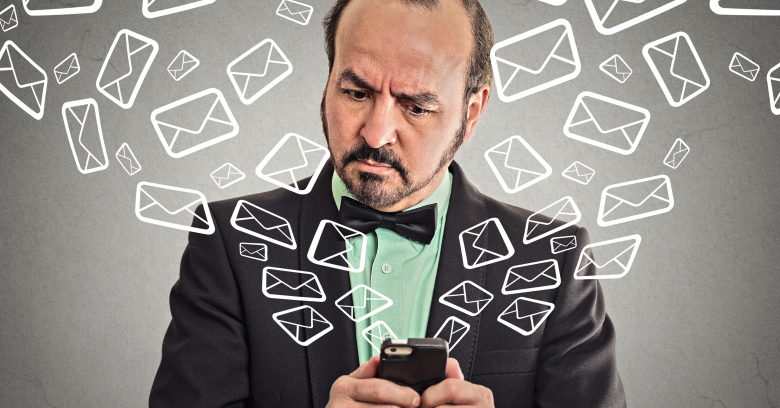 RCM calls itself a legitimate marketing firm, however it boasts of sending over a billion emails every day. The repository that Vickery stumbled upon exposes the operations of the notorious spamming organization. While we may like to believe that only a few people fall for basic social engineering tricks that spammers use on adult entertainment websites or sites that offer pirated products, today’s leak reveals how a mega spam company managed to hoard up data of over a billion people. The leaked files that the group forgot to protect with a password represent the backbone of RCM operations. But, how did they manage to collect such a huge trove of information? “Well-informed individuals did not choose to sign up for bulk advertisements over a billion times,” Vickery said. The security researcher believes that the “most likely scenario” is that the group used a combination of techniques, including co-registration. RCM also accumulated this huge list via offers for things such as free gifts, credit checks, sweepstakes, and education opportunities. River City Media is disguised as a marketing firm that does offer some legit services, including email and SMS campaigns. Recorded campaigns that today’s RCM data breach exposed include some popular brands like Nike, Gillette, Victoria’s Secret, Covergirl, and AT&T, among others. These clients didn’t avail RCM’s services directly. Research revealed that the group sourced many campaigns from a number of marketing firms. One of the largest marketing firms associated with RCM based on today’s leaks is Amobee. According to leaked documents, the marketing firm paid RCM $72,395 in November and $33,979 in December, last year. We have reached out to Amobee for a comment on today’s exposure and will update this story if we receive any response. Since Vickery happened to “stumble upon” this unprotected database, it wouldn’t be surprising if someone else had already spotted and stored the data. When asked, Vickery told Wccftech that he hasn’t “seen any copies” on the dark web, where these data sets are mostly sold by criminals. Authorities were, however, forwarded copies of this database. The security researcher has also sent details of abusive scripts and techniques that the group was using to Microsoft, Apple, and other companies. “Law enforcement have also been notified and, while we are prohibited from saying too much, they are indeed interested in the matter,” Vickery added. It is unclear if the database containing details of over 1.4 billion users was sold online, but it won’t be unlikely for RCM to sell this precious data now that it has already been exposed. RCM or other spammers – they mostly rely on the fact that we trust popular services who then forward our data to affiliates. “You are never told who the affiliates are and groups like River City Media capitalize on that aspect,” Vickery wrote. The empire of spam is being taken down, as we speak. Spamhaus, a world leader in supplying realtime threat intelligence to the Internet’s major networks, is blacklisting RCM’s entire infrastructure. But what would happen to that database containing information of nearly 1.4 billion users is what users should really be worried about.